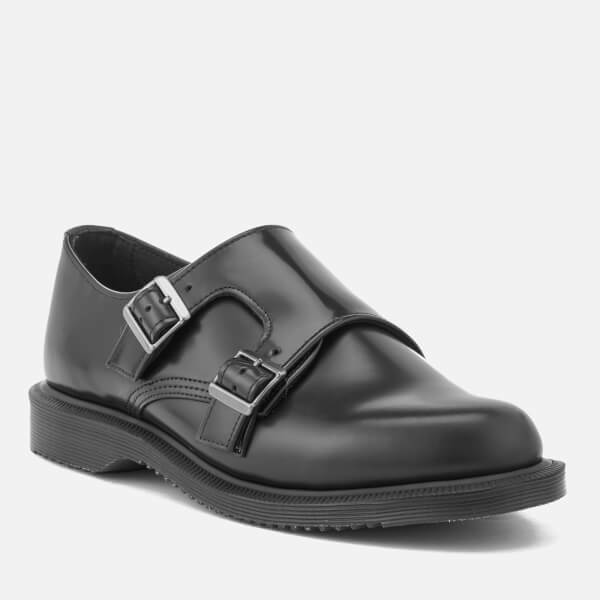 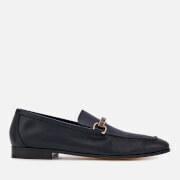 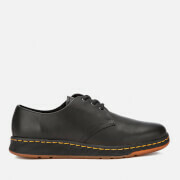 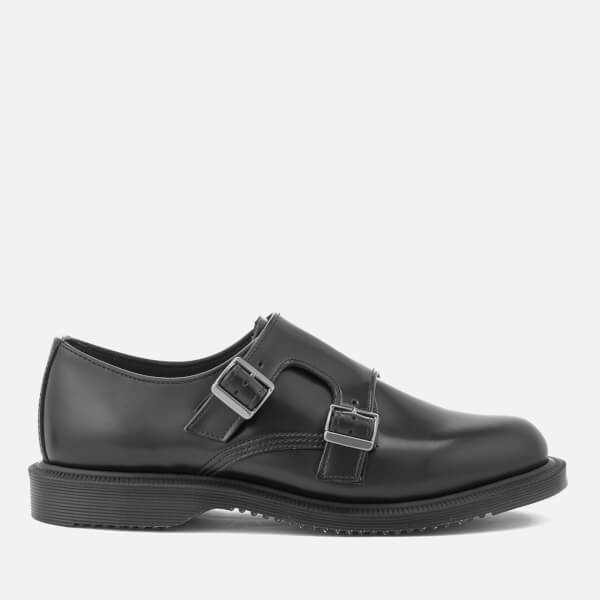 Women's leather monk shoes from Dr. Martens. 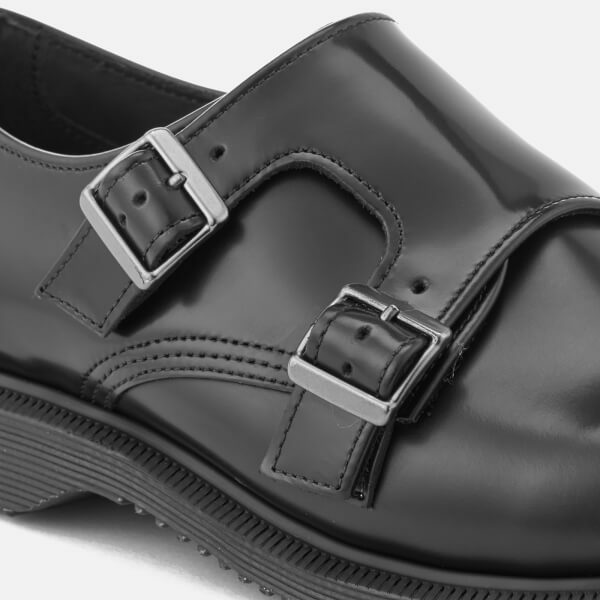 Crafted from polished leather to create a sleek, formal upper, the 'Kensington Pandora' shoes showcase a rounded toe, double monk strap fastening across the quarter with gunmetal buckle detail and elasticated inner for easy entry. 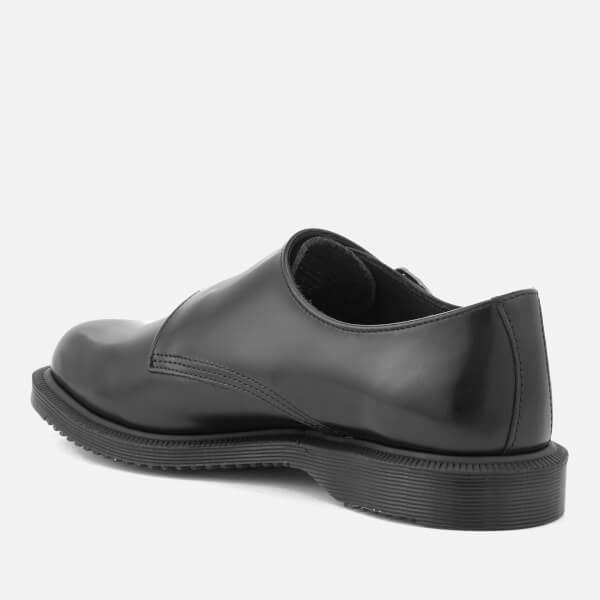 Set upon a slimmer, oil and fat-resistant AirWair mid-sole for enhanced cushioning. 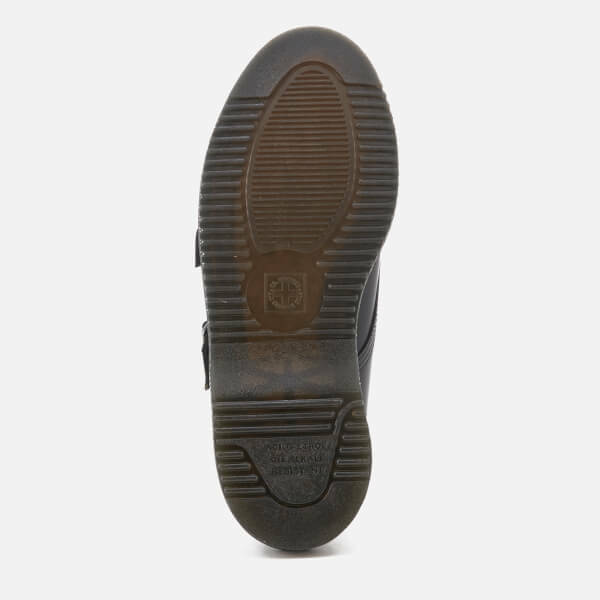 The sole is Goodyear welted, which means the upper and sole have been heat-sealed and sewn together for a durable, authentic finish. 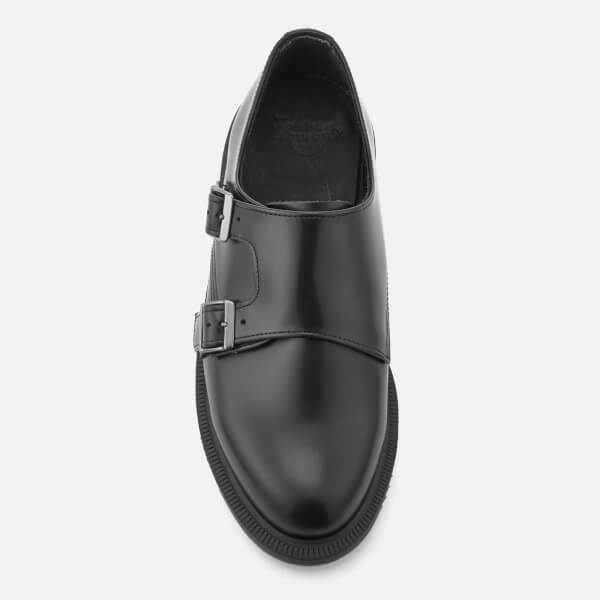 Finished with patterned tread for excellent abrasion and slip resistance.